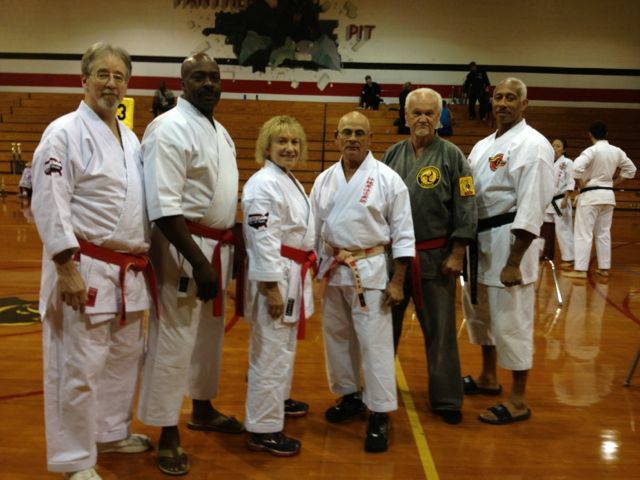 The Hanshi's Heilman attended the 2013 Hanshi Isaac North Carolina Nationals held in Jacksonville, North Carolina on July 20, 2013. 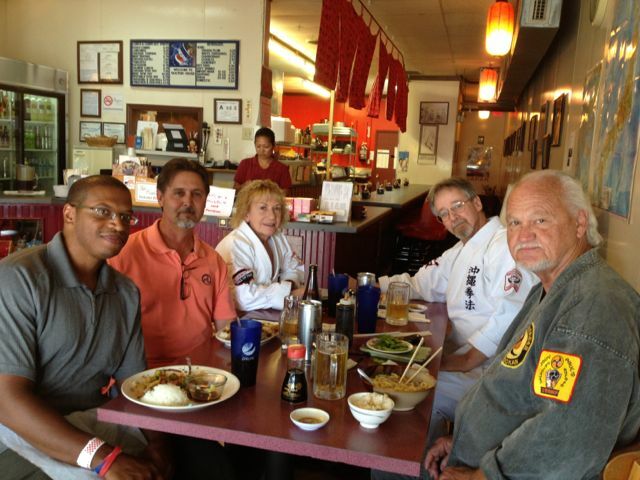 Photo of Hanshi Heilman, Hanshi Charles, Hanshi Heilman, Kyoshi Martinez, Hanshi Paul and Hanshi Epps at gathering. 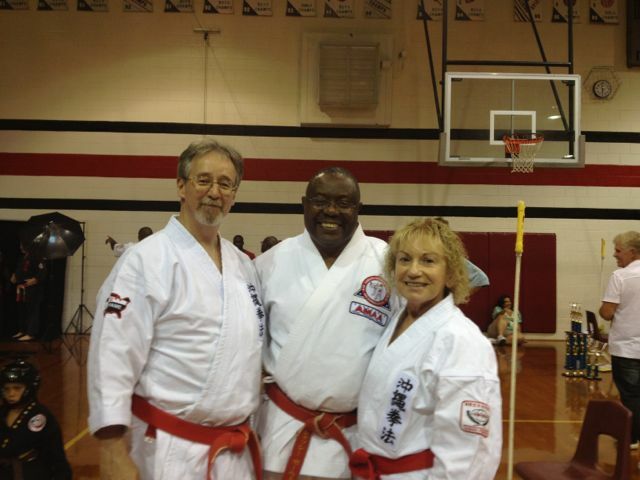 Hanshi Isaac and Kyoshi Williams receiving special award from Hanshi Wright. 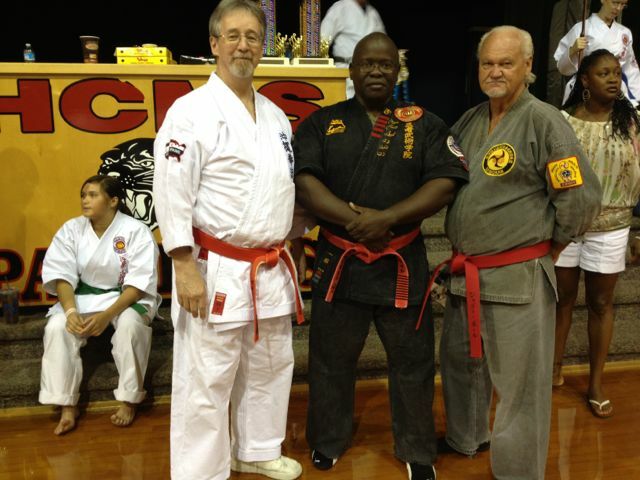 Hanshi's Heilman, Wright and Paul. 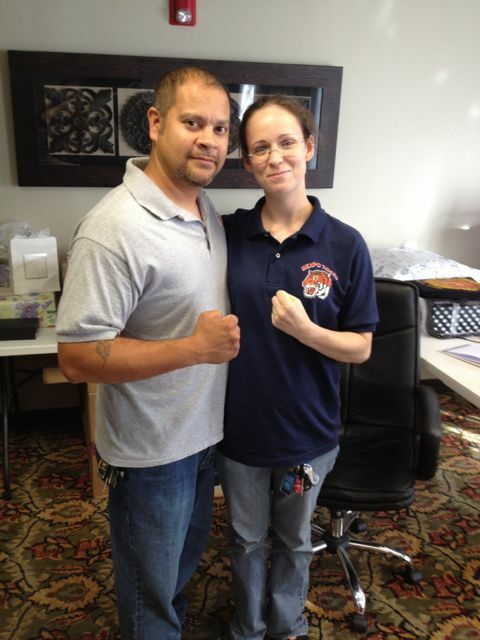 Kyoshi Martinez and Hanshi Heilman. 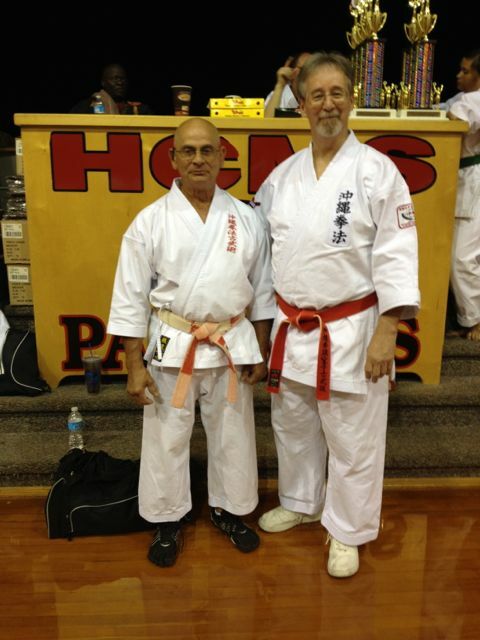 Hanshi's Heilman with Hanshi Jesse Bowen. 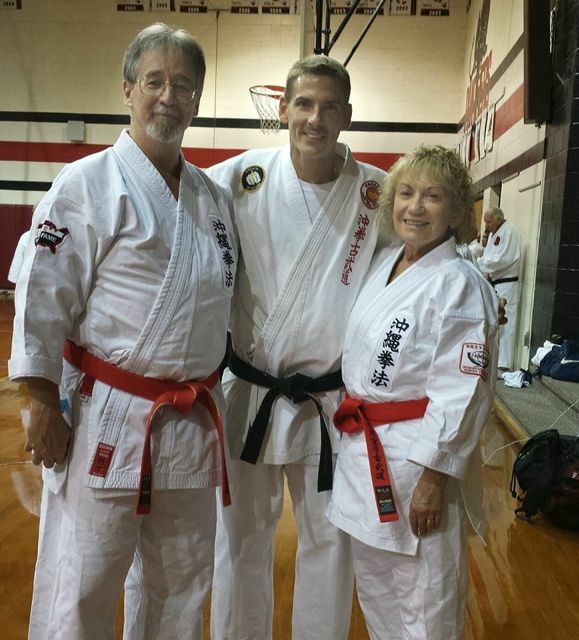 Mr. & Mrs. Heilman with Sensei Kevin Smith. Lunch gathering at a Okinawan Restaurant - it was excellent. 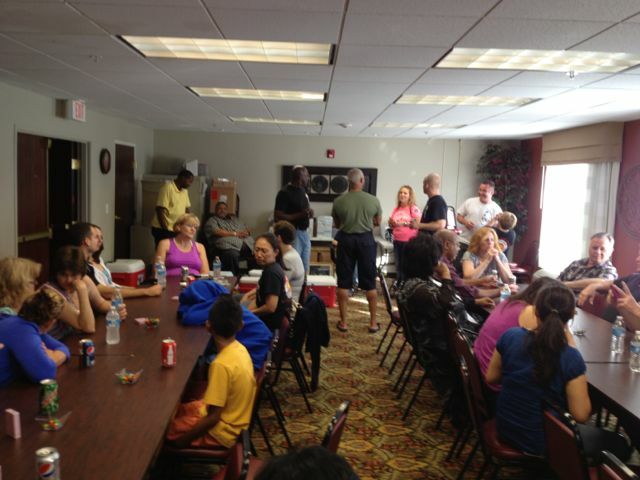 Dinner gathering saturday evening after the tournament - good food and good friends. 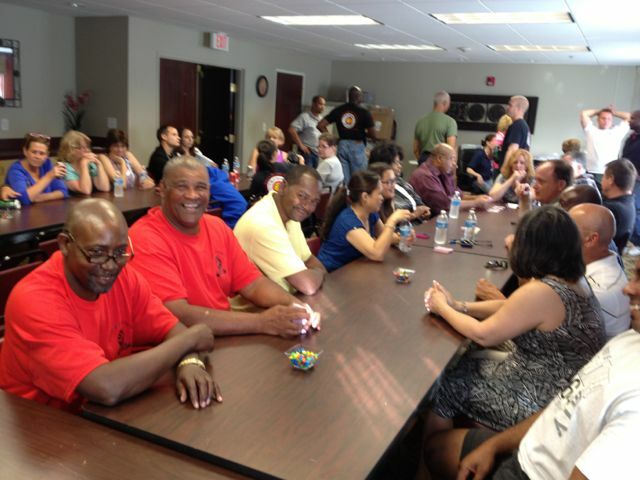 Another photo of participants at saturday's dinner. Photo of Mr. & Mrs. Will Claphan who were married friday before the tournament. 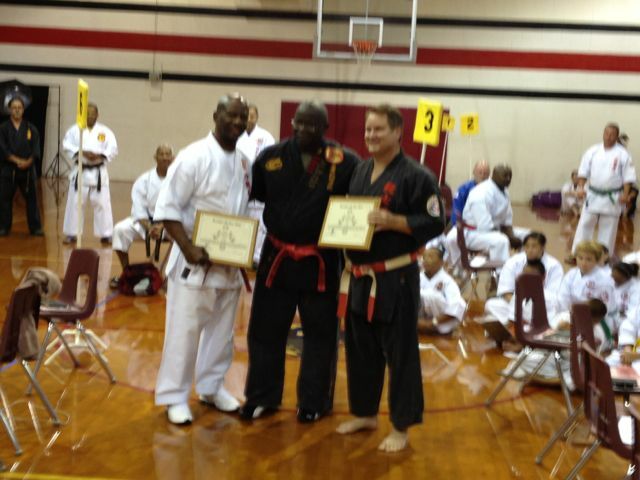 They are both Okinawa Kenpo students of Hanshi Isaac. 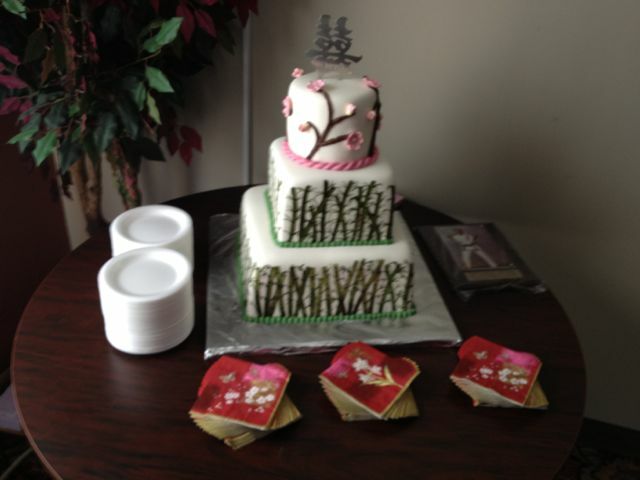 Photo of wedding cake which was cut with a samurai sword after dinner by the newly weds. 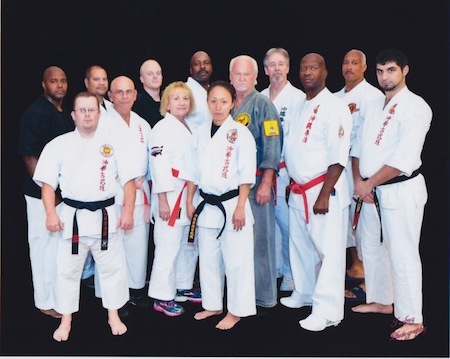 Photo of some of the Okinawa Kenpo practitioners attending the North Carolina Championships.